"I'm still pleading to Nigerians, everybody he offended that they should forgive him. Life is very very important. Once they have life, there is hope. I have said it earlier, let them take him to T.B Joshua. I was in T.B Joshua in 2012, he said that if you see any criminal, that you should bring that person, so that when he gets his deliverance. He will know himself. It is something inside him that is messing up, not that person. I was telling God to forgive him. It's a very big shame to me hearing this name. The woman pictured in the middle, was arrested after she accidentally injured six people including three children when her car (bottom right) careered out of control in a field full of hundreds of Muslims who had been celebrating the end of Ramadan. Bystanders(left), including a man with a bleeding shoulder,(top right) fled in horror as the vehicle sped around a field packed with 300 to 400 people who had celebrated Eid at nearby Newcastle Central Mosque. Two children and one adult remain in intensive care after the incident at Westgate Community College. Witnesses said the driver, a 42-year-old Muslim woman, had got into her car on a grass verge at 9.14am after attending prayers when she 'pressed the gas rather than the break' and sped into the crowds. The woman was arrested although police said the incident is not terror related. It comes just a week after suspected terrorist Darren Osborne, 47, deliberately drove into worshippers outside Finsbury Park Mosque in London. Witness Uman Nyanzi said: 'It was a complete freak accident. She was praying with us just before this all happened. She was in the car and she was speaking to someone literally just seconds before the accident. To me it looked like she pressed the gas instead of the brake and she lost control. The car started spinning. It was quite unbelievable. Someone had to jump in the car and pull the handbrake up to make it stop. “Most of my friends are friends I have had forever. I am a very loyal person. I try to keep a very small group of friends. It is not that I don’t make new friends, but I call them acquaintances. When you say friends, they are people I have known for a long time,since I was a child,” she said, poker faced: “Everybody is my colleague. I don’t have very close friends in the industry,” he added. 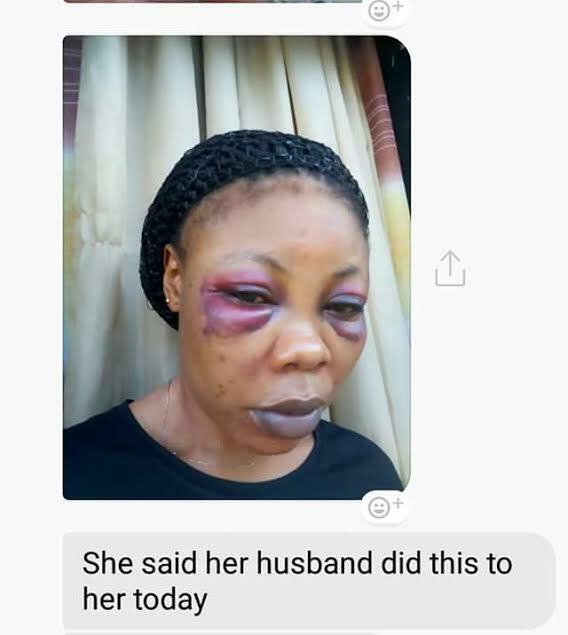 An interaction with Mr. Chukwuemeka Okoye, brother-in-law of the suspected notorious kidnapper, Mr Chidumeme Onwuamadike, a.k.a Evans, in the sleepy village of Awo-Oraifite in Ekwusigo local government area of Anambra State, gave an impression of a family in abject poverty. Chukwuemeka told Sunday Vanguard that his parents had 13 children, saying all of them had to struggle to make ends meet by engaging in menial jobs. It was, therefore, not surprising that Uchenna, Evans’ wife and the last of the 13 children, had to get married very early so as to leave the poor environment. Many of the villagers told Sunday Vanguard they were not aware that, Evans’ wife hailed from the area. 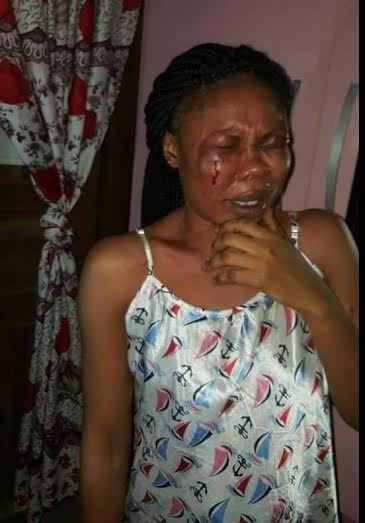 Although some of the people said they had read about Evans, who was described as the most notorious kidnapper in the country, it was a surprise to them that he was married to their kinswoman. A commercial motorcycle operator, Mr. Francis Odinuko -recalled how a suspected kidnapper from Ifite-Oraifite, Mr. Olisagbo Ifedike, a.k.a Ofe Akwu, attracted so much attention in the area during the administration of former Governor Peter Obi, who led security operatives to demolish two magnificent buildings belonging to Ofe Akwu on September 5, 2012, adding that until that demolition, most people thought Ofe Akwu was a businessman. I have passed through the valley of death”.Those were the words, depicting a high sense of lamentation,from Emeka Egbulugha, 33, the pharmacist working with Maydon Pharmaceutical Company in Ilupeju, Lagos, whose boss, Chief Donatus Dunu, was abducted and kept in captivity for over 90 days, at the Igando area of the state. Chief Donatus Dunu, regained his freedom miraculously. Although, even after he had paid a ransom of N150m, Evans and his boys did not allow Dunu go. He reportedly escaped just few hours to the time slated by his abductors to kill him. I combined the job of a Superintendent Pharmacist with that of a Medical Representative in order to please him. “On February 14, 2017, our CEO, Chief Dunu was kidnapped and the senior staff heard of it on February 15, 2017. At that point, we all started fasting and praying for him to be released and I personally went to Church to pray for him and the church at large also prayed for his release. To my greatest surprise, on May 12, 2017, I was at the University of Lagos for a supply when Mr. Gbenga (The Human Resources Manager) of Maydon Pharmaceutical called me and asked where I was, I told him that I was at Unilag Pharmacy. He asked me if I was coming to the office immediately and I told him that I needed to go to Ikeja (Mother & Child Hospital) for another supply before returning to the office. “When I finished the supply, I rushed back to my office and within a few minutes, some policemen and women came into my office and asked me if I was Emeka, I said yes. They asked me what my duty was in the company and I told them that I am the Superintendent Pharmacist; they said yes, that I was the one they were looking for. They handcuffed and took me to Ilupeju Police Station where I was beaten up and accused of kidnapping my boss. 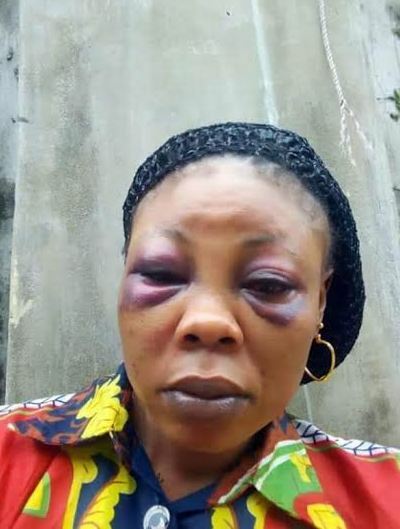 They told me that while my boss was in captivity, he heard my voice calling the person in charge of warehouse to load goods worth N7million Naira. 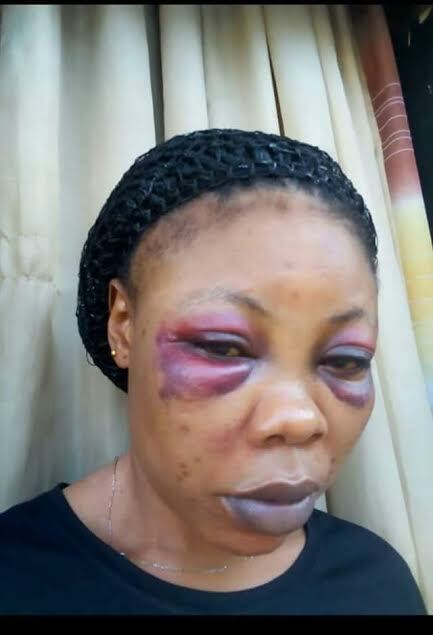 Within the space of 45 minutes, the staff in charge of Warehouse were brought inside the cell at Ilupeju Police Station, and later, they took us to Anti-kidnapping & Anti-Cultism Office at Surulere, Lagos. “On May 13, 2017, the policemen started their investigation. They took me and the staff in-charge of Warehouse in handcuffs to our houses for a search. At my house, they took my mobile phone sim cards, laptop and cheque books for further investigation. Three weeks after our detention, the policemen went to the warehouse with the person in charge of the warehouse in company of Chief Dunu’s elder brother, Mr. Anslem Dunu, the Chief Accountant, the Director of Business and Development and Assistant Warehouse keeper, and they found out that his claim of looting his warehouse was not true. His goods were intact. Some goods were even surplus. “After the stocktaking, Chief Dunu told the police that he had additional statement to make. It was at this time, that Chief Dunu claimed he saw me in the place where he was kept in captivity by the kidnappers. Whilst in detention, the warehouse keeper and I prayed and fasted daily for Almighty God to vindicate us from this false accusation and character assassination. “On May 19, 2017, the Policemen took us to Yaba Magistrate Court to obtain a detention order from the court pending for further investigation. The court asked them to return on June 6, 2017, to inform the court of the status of their investigation. On that date, the police asked for three additional weeks to detain us but our lawyers opposed the application and applied for our bail. The court adjourned to June 16, 2017 for ruling on our bail application. “To the glory of God, on June 10, 2017, the police apprehended Evans and his gang members and paraded them to the public on Sunday, June 11, 2017, at the Police Command, Ikeja. On Wednesday, June 14, 2017, the three of us detained at Anti-Kidnapping, Surulere, for conspiring with Evans and his gang to kidnap Chief Dunu, were taken to the Police Command, Ikeja (SARS office), before Evans and members of his gang for an identification parade. In our presence, the policemen asked Evans and his cohorts if they know any of us. They all said that they have never seen us before. In a bid to nail me in particular, they asked Evans to point at the pharmacist that gave him the information about Chief Donatus Dunu and he said, none of us gave him information, that he had not seen any of us before. The Police asked Evans’ second in command in-charge of where they kept Chief Donatus Dunu to point at the pharmacist that do come there to make calls, and he said that he has not seen any of us before. The police officer told him that one of us said that we know him and he said, if any of knows him, he should talk and tell him where the person knew him from and where. “After this face-to-face identification, we were asked to go and were taken back to detention at Surulere. On June 16, 2017, we went back to court and our lawyers informed the court about what happened after the hearing of June 6, 2017, but the lawyer who represented the police prosecutor could not confirm if, indeed, we were paraded before Evans and his gang members. The court then adjourned the matter to June 20, 2017. On that date, the court, after listening to the Police lawyer and our lawyers, granted us police bail, pending conclusion of police investigation. ’This was after 40 days of detention. “I must state that I am still in shock as to how Chief Dunu decided to level such weighty allegations against me. Since I joined his company until the date of his kidnap, I have never had any issues with him. I have never had any case against anybody even throughout my University days, let alone kidnapping my boss,” he concluded. The police are still continuing their investigations in this unfolding Evans saga. 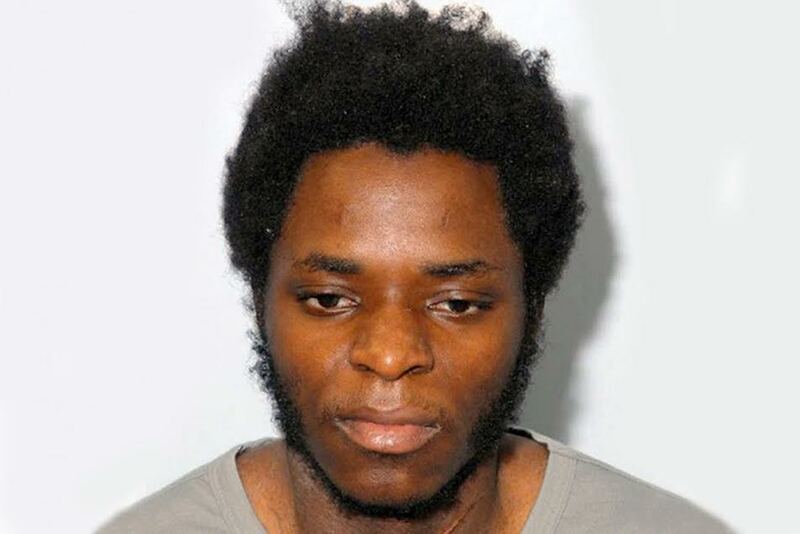 Michael Adebolajo, a Nigerian Islamic extremist who murdered British soldier Fusilier Lee Rigley in London, is now regarded as the most dangerous prisoner in the British penal system, officials say. The 31-year-old who is being jailed at the HMP Frankland in County Durham, a Category A prison, was described by a prison officer as “violent, unpredictable and a major danger to other prisoners”. According to Prison sources, the real threat he poses is his ability to radicalise other inmates as Dozens of prisoners are said to have fallen for Adebolajo’s twisted version of Islam and have vowed to become Jihadis when they are eventually freed. It's also understood that even non-Muslim prisoners are said to have converted to Islam and sworn an allegiance to Islamic State after being radicalised by the murderer. One prison official said: “Adebolajo spends most of his waking hours preaching his distorted form of Islam to anyone who will listen. He sees every inmate as a potential Islamic State soldier whether they are Muslims or not. The source said Adebolajo has taken up the role upon himself to recruit as many Jihadis as possible for the remainder of his life and has been given “special category” status because of the danger he represents. The shocking details of the threat posed by one of the UK’s most notorious killers emerged just weeks after 33 people were killed and more than 100 injured in terrorist attacks in Manchester and London. The source added: “If he is suspected of trying to radicalise other inmates we step in and move him. The report also revealed that keeping the terrorist killer confined in HMP Frankland, one of Britain’s most notorious prisons cost the taxpayer an estimated £1500 a week or £78,000 a year. 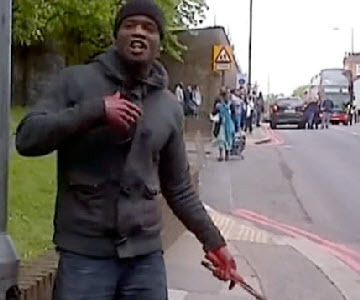 Adebolajo and his accomplice Michael Adebowale hacked 25-year-old Fusilier Lee Rigby near his barracks in Woolwich Barracks, South East London in 2013. The two terrorists mowed him down in a car before hacking him with knives and a cleaver. The men dragged the soldier’s body into the road and told passers-by that they had killed a soldier to avenge the killing of Muslims by the British armed forces. Adebolajo and Adebowale remained at the scene until police arrived and arrested them. They both men received life sentences. Adebolajo was given a whole-life order excluding the possibility of parole, and Adebowale, was given a minimum term of 45 years in prison. 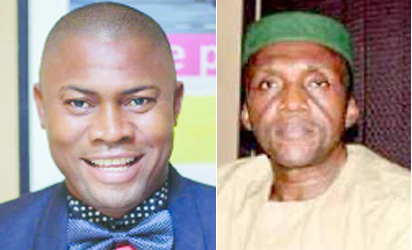 A breakthrough by detectives has brought a fresh twist to the unfurling saga of captured Nigeria’s billionaire kidnapper, Chukwudumeme Onwuamadike, alias Evans. Latest findings of investigations into the robbery/kidnap kingpin’s crime-ridden life suggest that Evans and his entire family hold dual citizenship of both Nigeria and Ghana, which he made his second home and to which, he normally escaped to hide from the arms of the law, whenever the heat was turned on after his many dare-devil operations. Searchlight on the crime baron by detectives unearthed four Ghanaian passports belonging to him, his wife and two of their children. Sleuths waddling through documents found during a search that the man identified by a Nigerian passport (No.A0500083) as Onwuamadike Chukwudumeme Somto, 37, is the same person as Asare Nelson, 39, according to Ghanaian passport (No.G0456327). His wife, known as Uchenna Precious Onwuamadike to Nigerians, is Precious Asare by her Ghanaian passport. The Accra Passport Office of Ghana Immigration Service issued the couple’s Ghanaian passports and those of their two children, Sussan and Emmanuel Asare. The big question is: How did the family procure the foreign passports? Saturday Sun learnt that although the issuance of Ghanaian passport is also porous and susceptible to corruption and touting like Nigeria’s, the strict enforcement of criminal justice system in the West African country discourages many Ghanaians and Immigration officials from indulging in the practice. Evans probably acquired the passport for himself and his family this dubious way. Paying GHc1000 (about N85, 000 by the current exchange rate) per passport would be no big deal for a man like the notorious criminal, who rakes in $1m from a single kidnap operation. 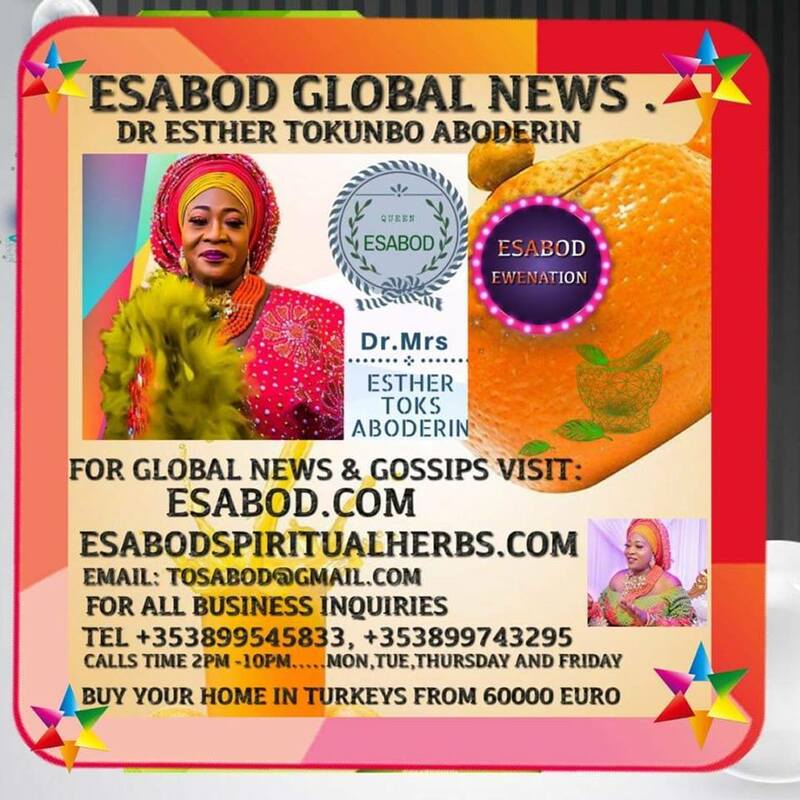 The smart crook that he is, Evans, in choosing nomenclatures avoided the generic day names––such as Kofi, Kojo, Kwabena Kwesi or Kwame, which are common to some nationals of Cote D’Ivoire and Togo and could deny the family the much prized Caanadian visa that he sought. Instead, he opted for Asare, an Akan name common to Southwestern part of Ghana, which, therefore, could raise no suspicion as to the genuineness of his family’s Ghanaian roots. With the name he could pass for an Ashanti, Akyem or a Fante. The next big question borders on the role of his wife. Mrs. Evans has fervently denied having any knowledge of her husband’s nefarious activities. 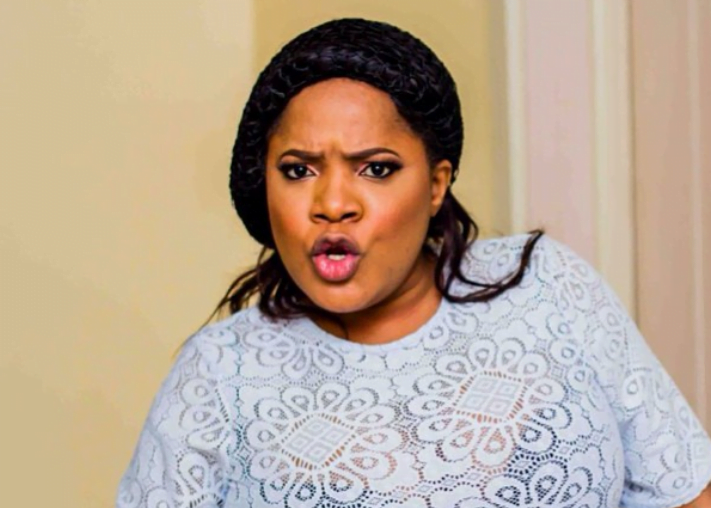 The 31-year-old earlier in a telephone conversation with a Nigerian newspaper denied having any inkling of her husband’s kidnapping business, insisting that Evans dealt in spare parts and haulage business and that the reason for their relocation to Ghana was for their children to have good education. But, her assertions fell flat in the face of fresh and emerging facts, giving the public a portrait of her as a consummate liar, after her cameo weepy appearance on social media with her children. It also confirmed both husband and wife as a “Bony and Clyde” couple. For instance, her passport and those of her two children were issued in 2010, three years before her husband got his. For a woman who claimed to be oblivious of her husband’s activities, she had no qualms swapping her Nigerian identity for Precious Asare, travelling with the Ghanaian passport in preparation to migrate to Canada with a purported Ghanaian identity. In retrospect, observers note, the family’s choice of Ghana as sanctuary made sense and easily connects the dots, as it offers greater possibility of easily transiting to other countries and avoiding any of Nigeria’s ports, where the head could easily be apprehended. Recall that after a 2013 kidnap operation in Benin City, that turned the heat against him, Evans ceased flying through Nigerian airports. All his subsequent trips by flight were made using his Ghanaian passports and through Ghana’s airport. Also, adopting Ghana as second home eases the possibility of securing visa to Canada, which appears to be their choice destination. Canada’s High Commission in Accra issues visa for a host of West African countries including Nigeria. Considering that they eventually got the Canadian visas, it is easy to conclude that they would have emigrated to the North American country, a security source said. How did you meet Evans? There was a time in 2006 that a gang of robbers attacked a commercial bank in Lagos and went somewhere around the National Arts Theatre, Iganmu, to share the loot. While sharing the loot, the robbers had a disagreement and shot one another. Seven members of the gang died instantly. The then Divisional Police Officer of Iponri Police Station, Yahaya Bello, now a deputy commissioner of police, said there was a serious incident involving some persons who shot at one another. He said about three of them had been arrested. 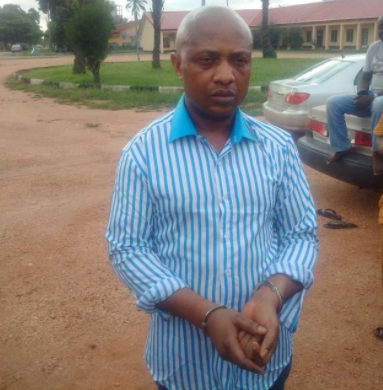 One of the members of the gang arrested then was Chukwudi Onuamadike, popularly known as Evans. If you look at his chest, I cannot remember whether it is the right or left side, there is a scar. It was as a result of the gunshot from his gang members that day. He bled and there was no way he could run away before the police came. The case was transferred to the Lagos State Anti-Robbery Squad. We investigated and discovered that they were armed robbers. Evans led the team. We also went to Mbidi Police Station, Imo State, to carry out an investigation on them. We were able to arrest two other members of the gang. We then had five of them in police custody. Were you able to prosecute him? There was a policewoman at the Band Section of the Police College, Lagos. She was known as Tina, a Superintendent of Police. She insisted that we should drop the case and that Onuamadike (Evans) was her brother. But when she was unable to achieve her aim, she travelled to Imo State. 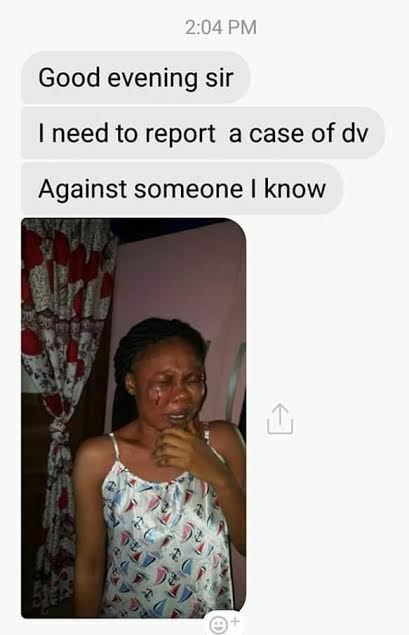 Not long after, we got a message from the Imo State Police Command that they had been searching for Evans and asked us to transfer the case to them so they could continue from where we stopped. Since that time, we did not hear anything. We heard he was later released there. How did you know that he was the notorious kidnap kingpin arrested by the police not long ago? I saw his pictures. I know the man we arrested alongside members of his gang in 2006. But one thing was that he was not bearing the alias, Evans, at the time. We identified him only as Chukwudi. Some of the persons we worked together on the case also called me to draw my attention to the fact that he was the one arrested. Do you know if he was married at the time he was arrested for robbery? I cannot say. You know that many criminals would be unwilling to share that part except we investigate. Was Evans the only one released or other members were also set free then? He couldn’t have been the only person released. The request was that we should transfer the case to them. We sent him and two members of his gang to the command. There is a hotel in Okota area where they used to meet to share their loot. The owner of the hotel was their friend. There was a time they robbed three banks in Alaba International Market in 2005. They also looted shops there. One of the owners of the shop complained to the police and we carried out an investigation. We discovered that some of the items stolen in the man’s shop were digital cameras. We traced the cameras to the hotel and into the office of the hotel owner. It was then that ‘big men’ started calling from everywhere that we should drop the charges against them. The owner of the hotel was later killed by the robbers, following a disagreement. His body was dumped by the roadside in one of the states in the East sometime ago. What potential threat do you think Evans can constitute to the society if he finds his way out again? He can form a terrorist group being a hardened criminal. We are talking about a man that would not release his victims until his exact ransom was paid. How best do you think his case can be handled? The best way to handle his case is for the police to do their work. They should do a proper investigation. If it will take four months to investigate him, they should do so. He has links in South Africa, Ghana, etc. I know him. Bank robbery and hijacking of bullion vans is easy for him and his gang members. He didn’t hesitate to shoot any member of his gang suspected of foul play. But in his reported pleas, he gave a picture of being non-violent? Forget about that. It is expected. No criminal would say he ever killed anybody, except after a thorough investigation has nailed him or her. Why do you think he embraced kidnapping since you noted that he probably started as an armed robber? I really cannot say because I have not seen him since we took him and his other members to Imo State. I think he only tried to adopt another criminal act he believed would fetch him more money. It is all about greed. He wanted more and more. He kept amassing wealth because he wanted to show off. #WHEN I AM ALLOWED TO I STILL IRON MY WIFE'S CLOTH, ANY REDEEM PASTOR THAT IS PROUD IS NOT FROM ME - PASTOR ENOCH ADEJARE ADEBOYE, GENERAL OVERSEER OF THE REDEEMED CHRISTIAN CHURCH OF GOD (RCCG) HAS SAID THAT HE STILL IRON, PRESS HIS WIFE’S CLOTHES. The Bishop of Lagos West, Anglican Diocese, Revd James Odedeji, yesterday, refuted claims by the notorious kidnapper, Chukwudumeje Onwuamadike, a.k.a. Evans of being a member and a philanthropist of high repute in the Anglican family. Odedeji made the clarification while reacting to claims by Evans that he (Evans) had sponsored indigent students, given money to widows as well as donated to the renovation of the Anglican church building. Speaking to an online platform through Ven. Paul Adeyemi, Odedeji said: “We have verified it, and we are very certain that Evans is not a member of any elements of our church. We don’t know him and we have no affiliation with his person. “All that he his saying about paying school fees for indigent students, helping widows and donating hugely to renovations of our church are pure lies. Please ignore the false information, it is only meant to mislead the public.”. 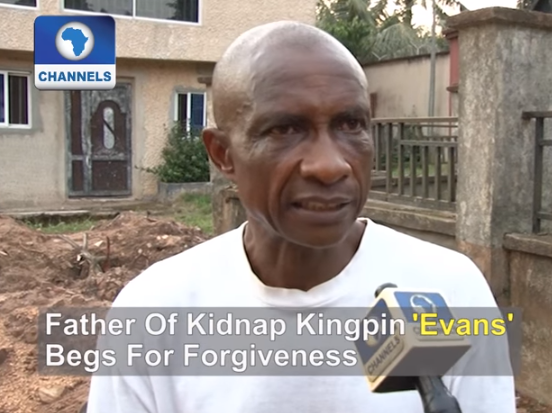 The last may not have been heard of acclaimed most brilliant kidnap kingpin Chukwudidumeme Onuamadike, aka Evans, following his starling revelation that some members of his strike team were serving security agents. One of them, a serving personnel of the Nigerian Army, identified as Lance Corporal Victor Chukwunonso , with Army No: 09/NA/64/6317, has been arrested. 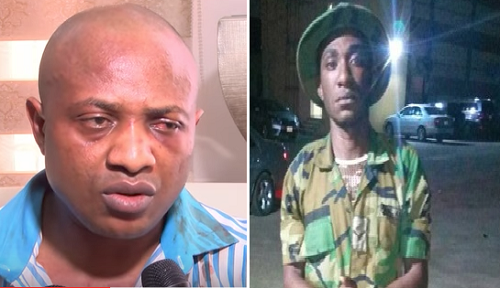 Unsuspecting Lance Corporal Chukwunonso, who is attached to the Nigeria Army Band Corps ,Abatti Barrack, in Surulere area of Lagos, was arrested at about 9pm on Friday, in Ojo area of the state, from where he was subsequently taken into police custody. During investigation Chukwunonso as reliably gathered, admitted to have only gone on three kidnap operations with Evans. He disclosed that he got a total of N6.5 million from the operations. He revealed to policemen that all the operations were carried out in Festac area of Lagos. He claimed to have been given N3million from the first operation, N2 million form the second and N1.5million from the third. 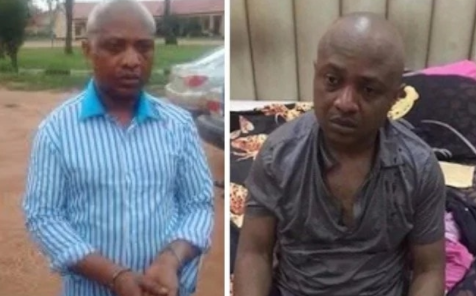 Evans was arrested penultimate Saturday from his mansion at Magodo Estate, Lagos for multiple kidnappings. A reward of N30 million was placed by the force for any useful information that could lead to his arrest. The notorious kidnapper has been on the police wanted list for over seven years. 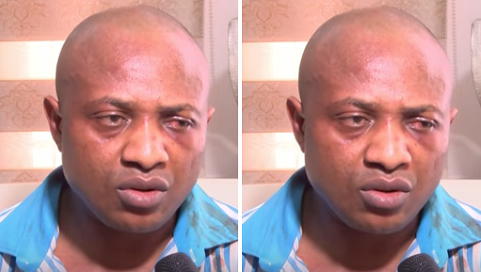 The recent arrest of notorious kidnapper, Evans still remains one of the most talked about news of this year. Back in January, Governor Akinwunmi Ambode signed into law Life Imprisonment or death penalty for the offence of Kidnap and forceful extortion in Lagos State. With the on-going investigation on the activities of Evans and his gang, if he's eventually convicted, the law provides for death penalty for kidnappers whose victims die in their custody, and life imprisonment for the act of kidnapping. “this law imposes a penalty of life imprisonment for kidnapping for ransom. The law stipulates that, where a victim dies in the course of kidnapping, the suspect is liable on conviction to death. Security is of utmost importance to our administration, and we are confident that this law will serve as a deterrent to anybody, who may desire to engage in this wicked act within the boundaries of Lagos State. Our justice system will be required to execute this law in absolute and make sure that any criminal caught faces the full wrath of the law,". A 22-year-old man from Gwanda has left the community of Garanyemba in Gwanda Central shell-shocked after he was found with a human decapitated head and male private parts on Thursday, the Chronicle reported. The National Police spokesperson Chief Superintendent Paul Nyathi confirmed the incident on Friday. He said the suspect, Honest Moyo had allegedly packed the head and scrotum that had two testicles in a bag in a kitchen hut at his rural homestead of Garanyemba when police caught up with him. According to the Chief Superintendent, he denied having killed the man, saying he just "saw" the body at a dumpsite and decided to remove its head and testicles with a view to selling them. A source close to the matter said the heinous act came to light when Moyo was visited by his cousin, Mr. Thandolwenkosi Ndlovu (19), at his mother's homestead on Thursday afternoon. Moyo's mother, Ms. Beauty Ndlovu, was not at home as she works at a farm in the Limpopo province of South Africa. When The Chronicle caught up with Mr. Ndlovu yesterday he narrated the frightening story. He said he had heard rumours that his cousin, Moyo was in possession of human body parts. "I left my grandmother's homestead going to my aunt's homestead who is Honest's mother. When I arrived he heard my footsteps and came out of the kitchen hut in a huff. He was holding a bloodied scissors," said Mr. Moyo, who's still in shock. According to him, 'when I asked him where the blood was coming from he said he had cut himself while shaving his armpit," said Mr. Ndlovu. Moyo said his cousin blocked him from entering the kitchen hut, which made him more curious to find out what was wrong. "I then forced my way in and came face-to-face with the greatest horror of my life. I was greeted by a bearded human head which was on top of a bloodied sack and a bloodied satchel was on its side. I blindly stumbled out of the house and ran away," said Mr. Ndlovu. He said Moyo pursued him, threatening to kill him if he told anyone about the human body parts. Mr. Ndlovu said he outpaced his cousin, who fled from the homestead. "I still can't believe what I saw. I told my grandmother and other villagers. Muchengeti Mazondo, one of the villagers, called Guyu Police Station and reported the incident," he said. 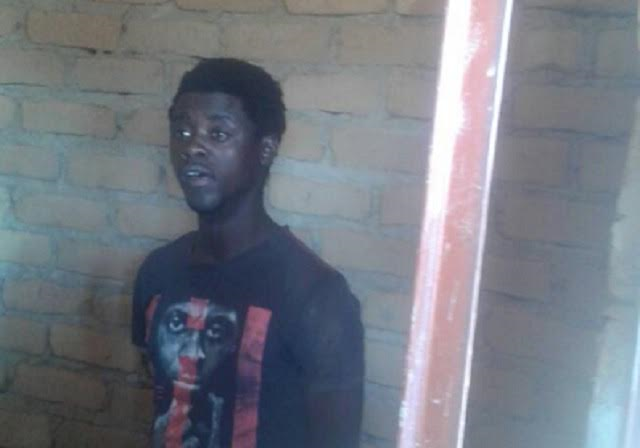 Mr. Ndlovu who said the experience had traumatized him and was having nightmares added that Moyo was apprehended by villagers at Garanyemba Business Centre, who handed him over to the police. "It's haunting me. I didn't suspect my cousin could do such a thing," he said. Mr. Ndlovu said Moyo told the police that he did not kill the person but found him dead at a dumpsite in Colleen Bawn. "He said when he saw the body while herding cattle, he thought of a certain businessman in West Nicholson who once told him he wanted a human head and testicles. He said he just harvested the parts from the body," he said. Friday, Moyo led police to a dumpsite in Colleen Bawn where he allegedly said he had left the mutilated body in a shallow grave.